L-Glutamines is a conditionally essential amino acid that may aid in muscle recovery, energy repletion, increasing protein synthesis, muscle cell hydration, strengthening the immune system and helping combat illness. L-Glutamine is required by everybody, making it ideal for different types of people who all have their general well being a priority. Essential for all serious athletes. This non-essential amino acid (building blocks of protein) is found in our muscles. L-Glutamine takes protein from where they can be spared and delivers them to where they're needed most. Helping the body create important nutrients, such as glutathione, glucosamine and vitamin B3. 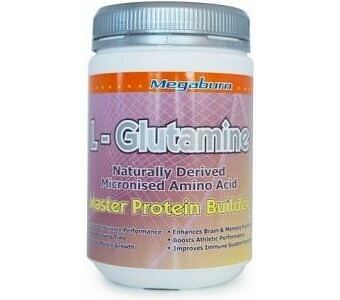 L-Glutamine has many medical benefits for general well being. It is known to play an important role in helping to combat anxiety, addictions and stress, elevate energy levels in the brain, increase mental alertness, aid in surgical recovery and liver disease. Ingredients: Naturally Derived L-Glutamine. Benefits of L-Glutamine L-Glutamine is the most importance component of muscle protein, and helps repair and build muscle. Not only is L-Glutamine important for athletes but it also helps maintain cell volume and hydration, speeding up wound and burn healing and recovery. Prolonged high-intensity exercise has been shown to decrease glutamine levels, which may result in a temporary glutamine deficiency which can compromise recovery. 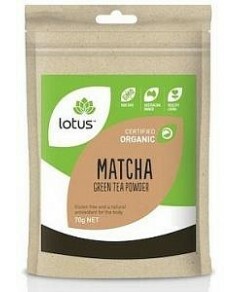 Precursor to glutathione an important antioxidant and immune boosting compound. For therapeutic uses, glutamine is recommended for people who suffer from intestinal problems, who need to protect their gastrointestinal tract, those with immune dysfunction, under heavy stress or recovering from injury or other trauma.